WASHINGTON, D.C. (Dec. 8, 2017) -- Members of the National Association of Black Journalists (NABJ) are expressing their dismay that NewsOne Now will go off the air on Dec. 21. TV One executives made the announcement earlier this week. 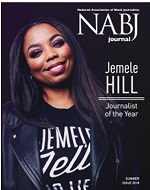 TJ Holmes, Stephen A. Smith, Jemele Hill, Cari Champion, and industry professionals such as Lawrence O'Donnell and Greta Van Sustern are among the many NABJ members who expressed their sadness, displeasure or outrage at seeing the demise of the program. "The show didn't just have an impact on the community, the show made an impact on developing black journalists," said host Roland Martin. "NewsOne Now was a breeding ground and development opportunity for African-Americans who are lawyers and political commentators and the show helped other networks too. Without a doubt there's no national television show that boasts the number of working black journalists as NewsOne Now." Since its inception, NewsOne Now has been must-watch morning TV for many viewers, as well as listeners to the syndicated radio show, the Tom Joyner Morning Show. Martin gave a platform to commentators Angela Rye, Paris Dennard and Shermichael Singleton, David Swerdlick, Laura Coates, and numerous subject matter experts, before the other networks came calling. "Roland Martin's show has served as the only television broadcast to provide daily coverage of black people and issues," said NABJ President Sarah Glover. 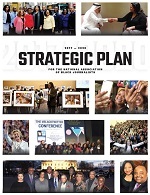 "NABJ applauded TV One executive Johnathan Rodgers for tapping Roland, an "NABJ Baby," to work for the network 12 years ago and CEO Alfred Liggins for selecting Roland as the host of NewsOne Now. "Today, we understand the importance of making sound business decisions, however, NewsOne Now had recently grown from one-to-two hours and to think the news program will cease is disheartening. I call upon the news and broadcast industry to develop programming that serves black communities. The void is like a gaping wound." In a year where journalists have faced daily assaults and attempts to discredit their work with the onslaught of claims of "fake news," NABJ is concerned by TV One's decision to halt its signature news program, one of the most credible news sources, especially for black and disenfranchised communities. A past NABJ Journalist of the Year, Martin's work has garnered numerous awards and is currently a contender for two NAACP Image Awards. His show employs nearly 30 journalists, who face the reality of unemployment going into the new year. "When anything is happening that impacts African Americans, you can turn to TV One for perspectives you won't see on other programs," said Dorothy Tucker, NABJ's Vice President of Broadcast. "The demise of Roland's show leaves a huge void that we simply can't afford now." Noting that Martin has been instrumental in increasing contributions to HBCUs, while also tackling international issues and holding elected officials accountable, even the President of the United States, NABJ is deeply concerned about the future of journalism when a show of NewsOne Now's caliber is taken off the air. Provided consistent coverage of police shootings of black men across the country, and was often the go-to broadcast for civil rights attorneys representing families. "TV One has outstanding programming, like UnSung and other tributes to fallen giants," said President Glover. "But NewsOne Now brought us scholars, activists, health and financial literacy gurus and other thought agents that helped viewers grow mentally, physically, socially and financially." TV One's significant strides in the industry are noteworthy and deserving of much more support than it receives, according to Glover. The two-term NABJ president said that in addition to asking TV One to reconsider its decision to cancel NewsOne Now, she would like to see the station receive more support so that it can expand and provide more excellent programming. Glover also calls upon other networks to develop news programming that serves black audiences and consumers. NABJ would like to see the cable industry increase the subscription base of TV One, which currently reaches 59 million homes. Other networks like BET, CNN, HLN, MSNBC and Fox News exceed 90 million homes. Such an increase of distribution will aid TV One in offering expanded news and other programming.